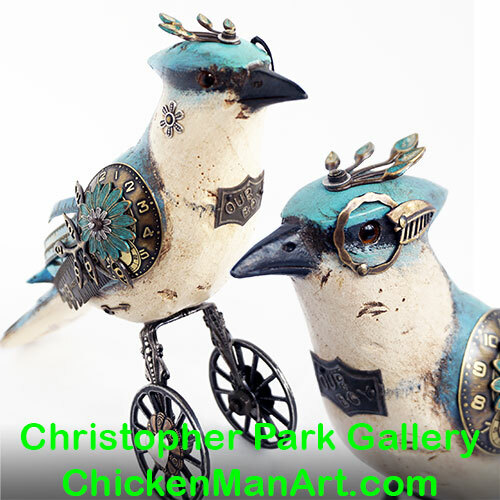 Our interest in collecting antiques and unusual pieces is what inspired us to start our line of mixed metal art. 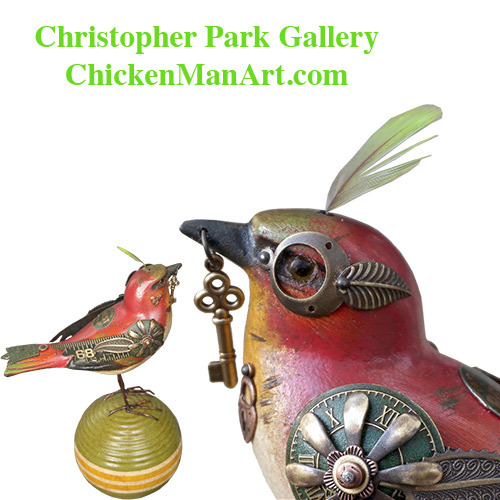 We travel all over the country collecting antique found objects, which are between 50 and 100 years old. 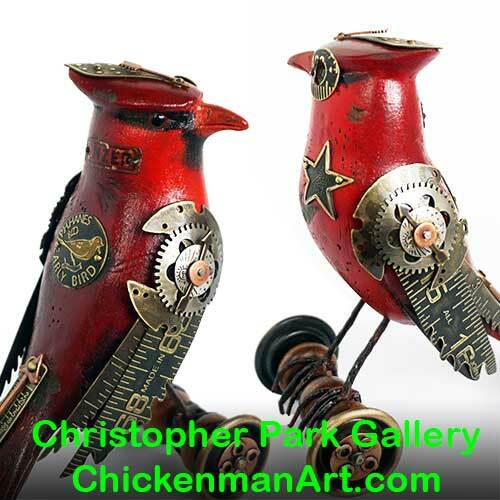 Slide rules, timepieces, game tokens, and hardware add history to the designs. 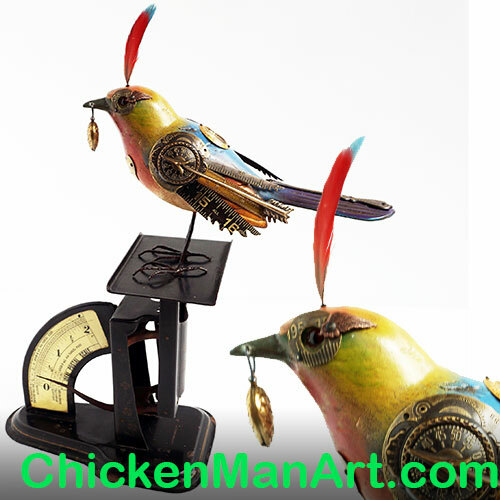 However, we try to create a lighthearted feeling in the pieces we design as well. 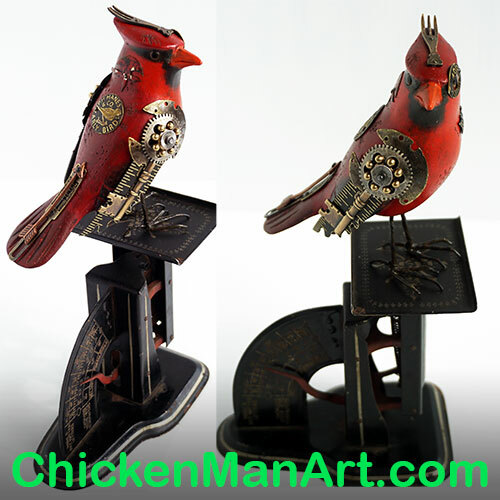 The vintage bird collection, designed by Jim Mullan, was inspired by his fascination with birds and antique objects. 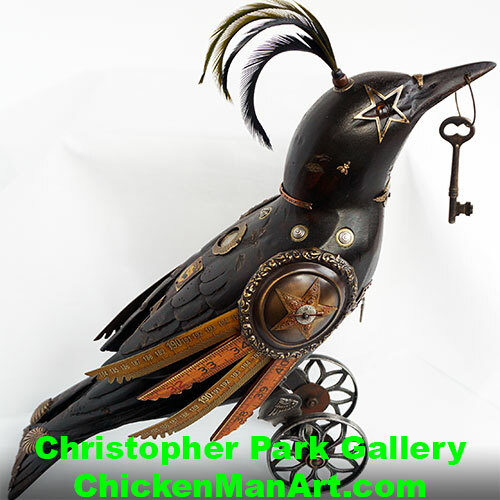 The crows were used as hunting decoys in the 30âs and 40âs and the smaller birds were carved in the 1950âs. 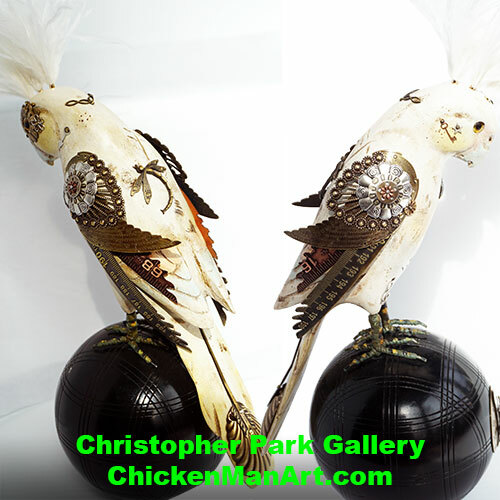 The original decoys were passed on to Jim in 1991 and just recently he has turned each into an eclectic, one of a kind piece of art. 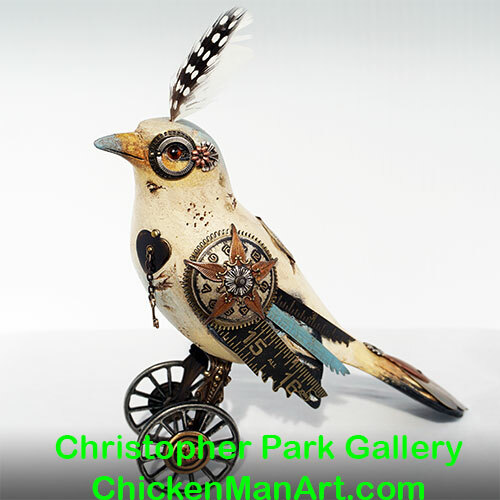 You can see Jimâs lively sense of humor in each one of his creations. 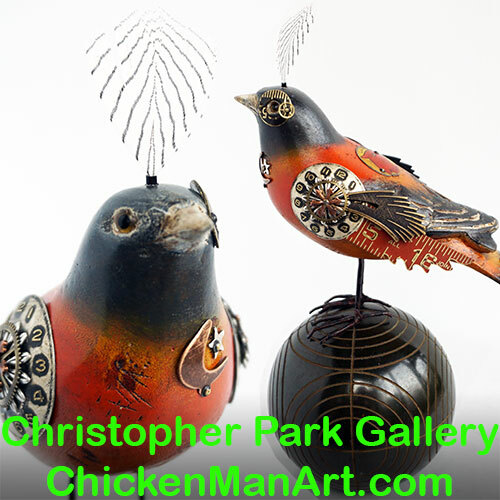 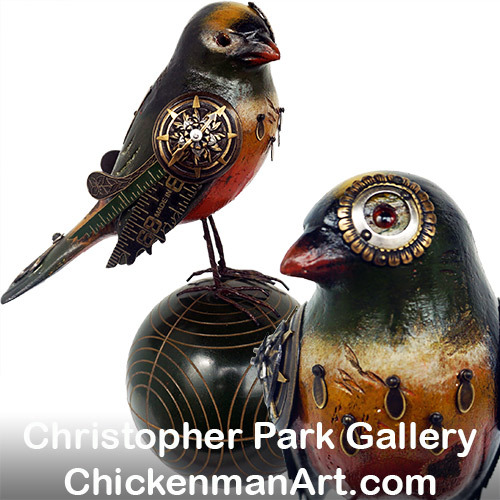 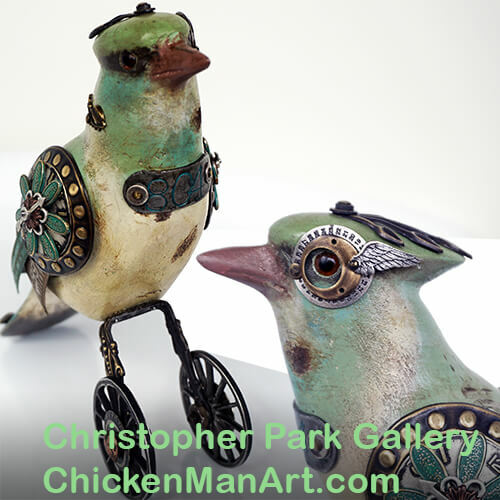 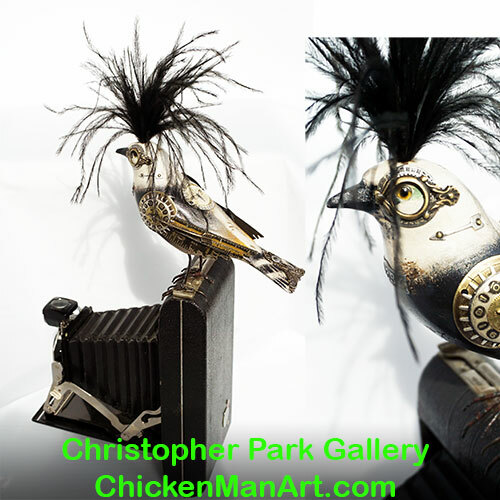 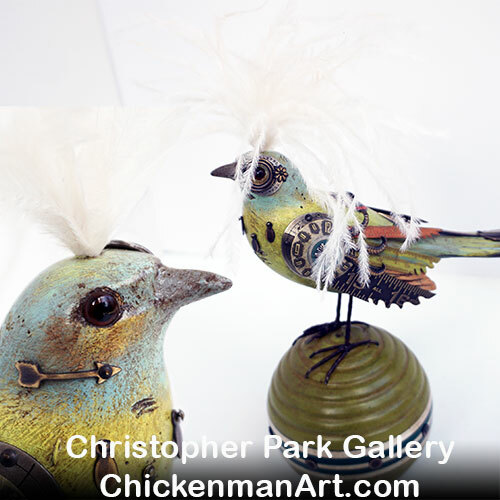 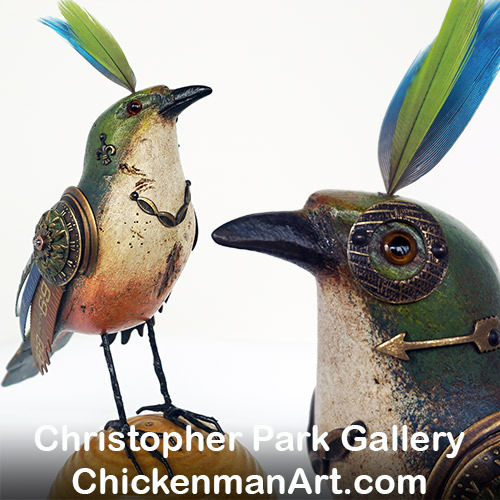 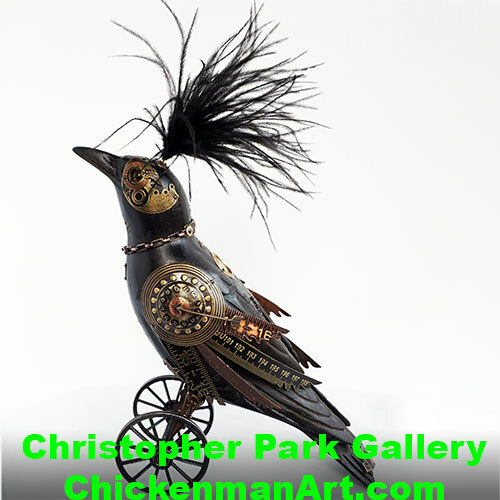 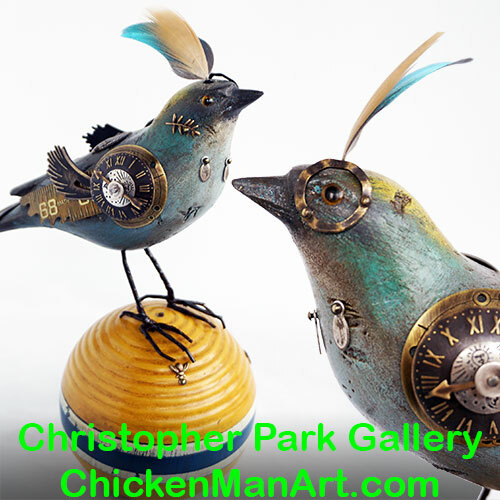 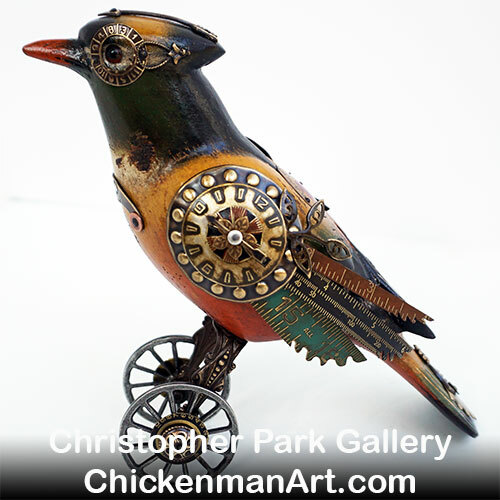 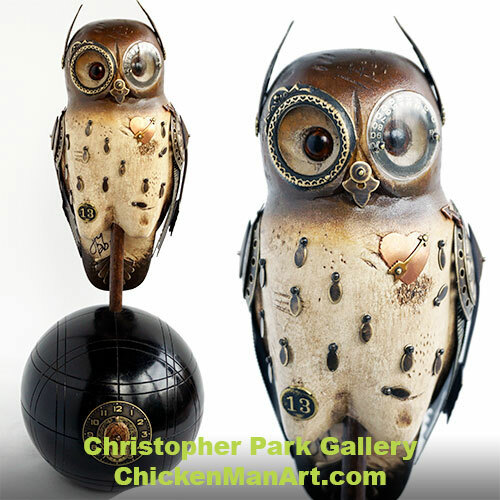 Jim begins by hand painting each bird and then adds a variety of vintage pieces when creating his sculptures. 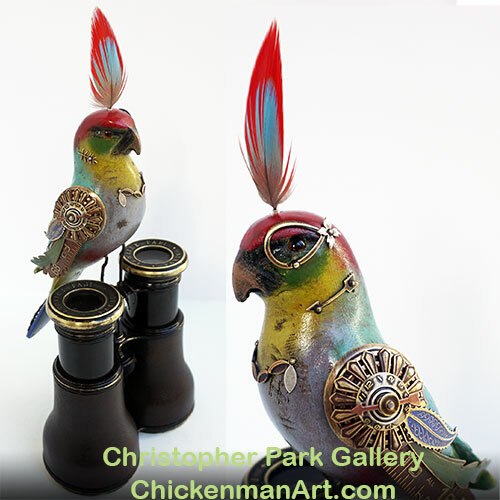 The unusual relics he uses, such as croquet balls, binoculars and old toys give each inspiring bird his own personality. 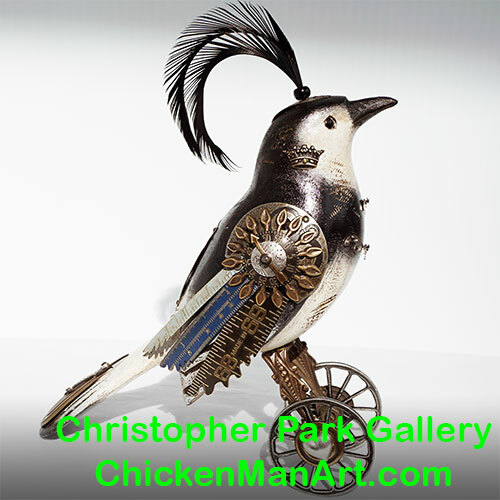 Objects that were cast aside as useless are used in his designs to demonstrate the fragile balance between nature and industry.